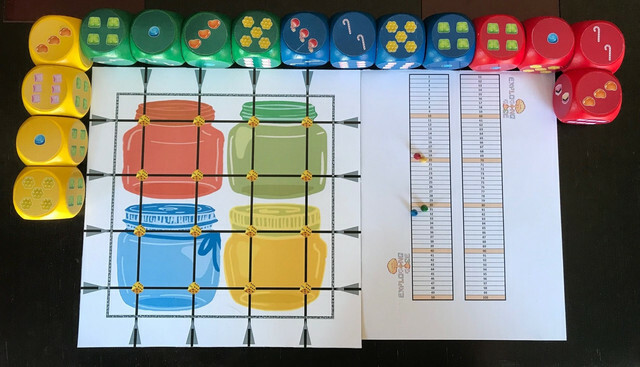 Roll , push , connect and score! 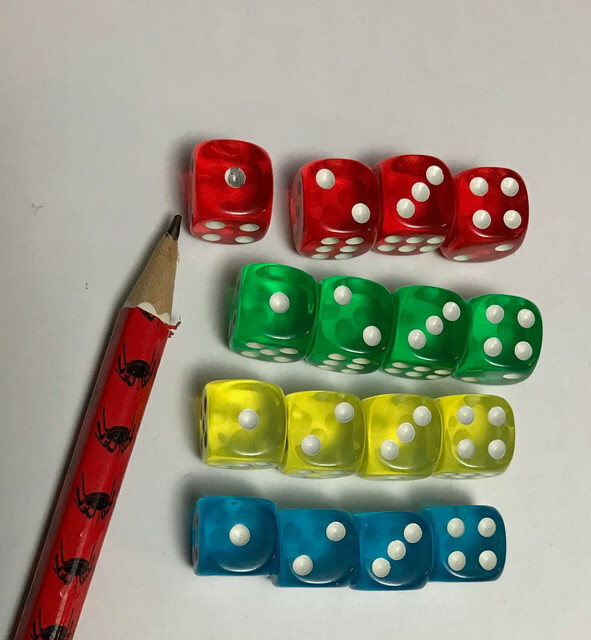 EXPLODING DICE is a puzzle of dice and candies, where players will have to connect dice of their color to score and win the game. Beware! If you connect dice of the same candy they explode! With specialized dice like those, I'm afraid you're going to have a bugger of a time getting play-testers. But the concept looks fun. Edit: Second glance, maybe not. 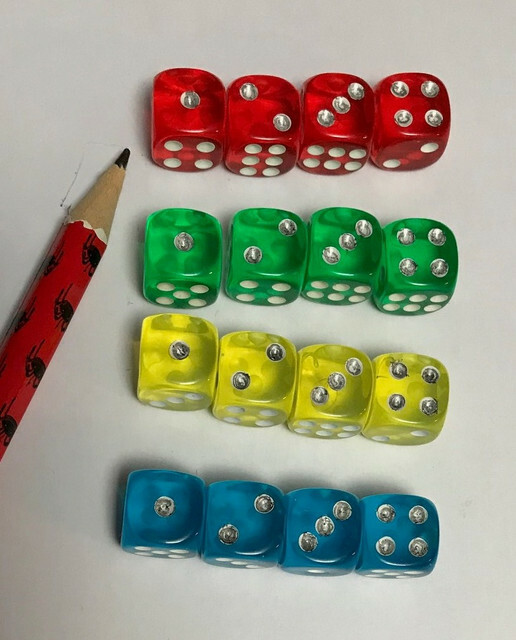 I had imagined the pips were different colors on the dice. But it looks workable. Yes , it's needed to customized the dice to play , but it is pretty easy. I will add a diferent set of rules with this type of dice. If the people like the game, I will add the candy dice faces to stick to the dice , but the dice need to be big. In my games Whack & Slaughter and Zombie Slayer I provide templates for people define colours for pips. Maybe somthing like that could work for your game, too? That tracker thing on the right looks very small. What if someone bumps the table? What if one of the players has a hook for an arm? This is a good solution! Its true Daniel, it is not very stable during the game. I tried to keep the score sheet in the long of the page but the boxes got very thin . I am thinking in changing it to a diagonal one. I have checked and the design is pretty original for the dots of the dice. The game mechanichs looks very interesting. How do you recommend to paint the dots of the dice? I think the best way is to use color pens . I will try to do it that way. I will show the final appearance of the dice. Just a reminder that the contest entry period closes in about 12 hours. If you don't have components available and linked by then, I will automatically withdraw your entry from the contest. But I could not arrive. The last month I saw a weakness in the game . An always winning strategy and I fix it without doing so many changes in the rules , but I finished the last weekend. However I will post in a few days how to play the game , also using standard color dice.